Children are particularly vulnerable to the effects of air pollution, while their lungs are still developing. Exposure at an early age can limit children’s lung growth, increase the risk of asthma and reduce brain development. Long-term exposure to high concentrations of air pollution can cause asthma. Nearly 1 in 13 children of school-age has asthma, which is the leading cause of school absenteeism due to chronic illness. Poor indoor air quality (IAQ) negatively affects children's performance in school. It has been shown that high levels of CO2 can decrease cognitive performance by 20%. Good indoor air quality safeguards healthy development, aids focus & learning, and reduces absences, enabling schools’ core mission of education. AirVisual Enterprise allows you to track the air pollutants which impact children and staff’s health and performance the most, with the AirVisual Pro monitor. Maintain optimal air quality for both children's physical development and concentration. By managing PM2.5 and C02 levels, improve focus and cognitive performance with clean and fresh air. 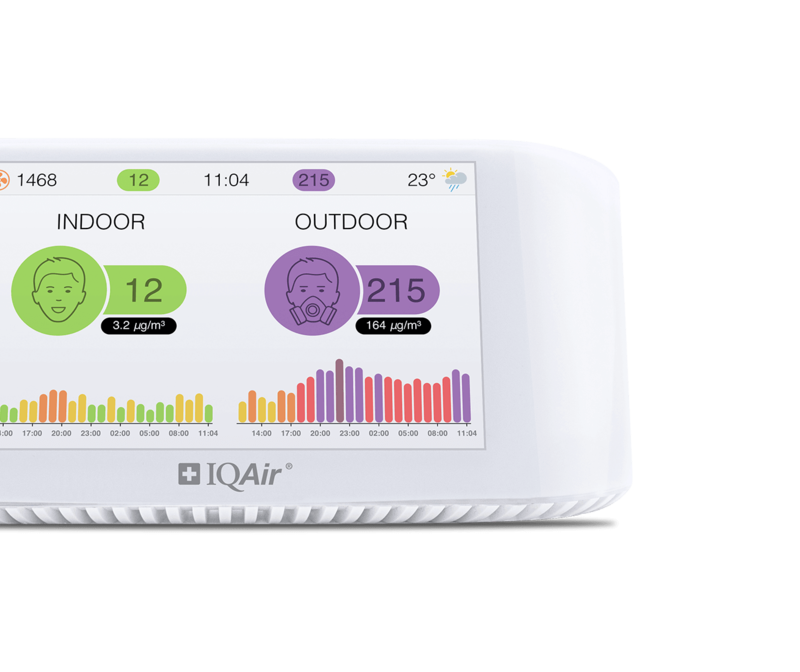 Ensure that staff and students are kept aware of outdoor conditions, and that activity protocol related to air quality is automatically and clearly communicated. 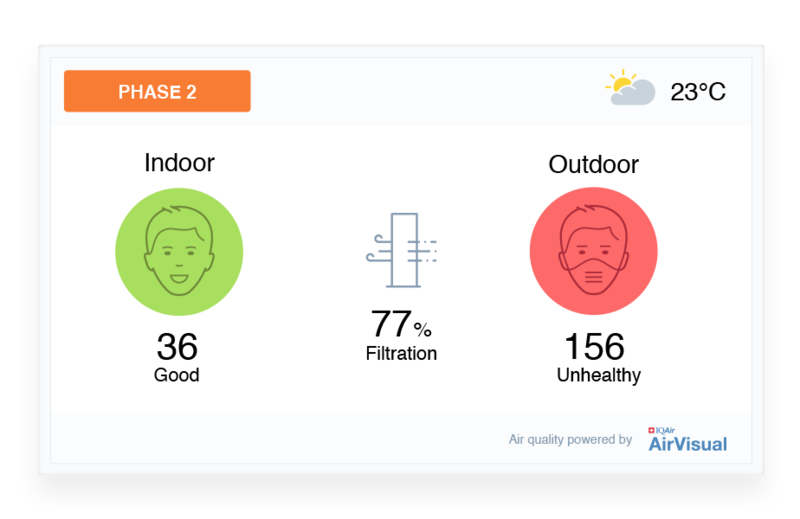 Give peace of mind to parents, children and staff through AirVisual's real-time air quality display options, accessible through iOS and Android mobile apps, websites, TV screens and social media pages. Manually measuring classroom air quality to verify the the school environment is time consuming. 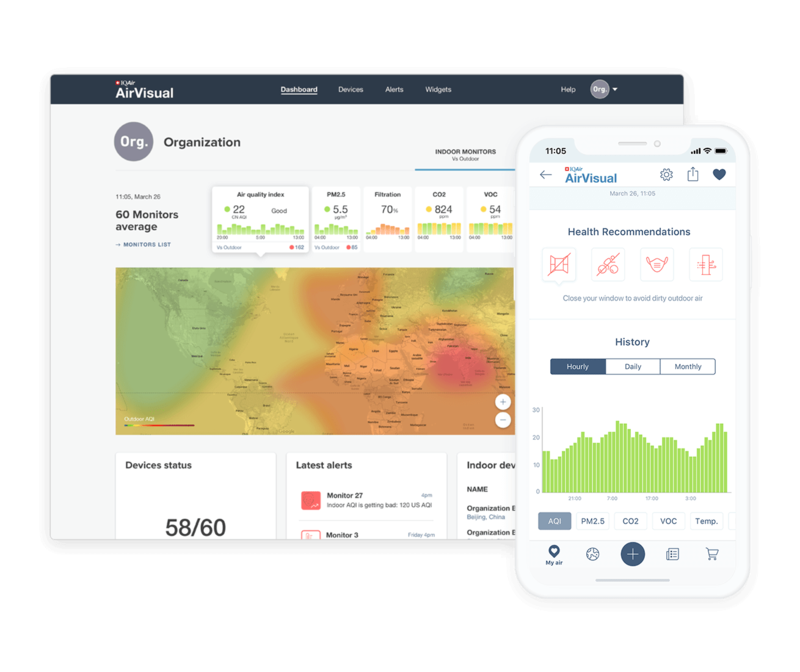 AirVisual Enterprise centralizes all measurements and control settings into one, easy dashboard, accessible from web and mobile app, to save staff time and resources.